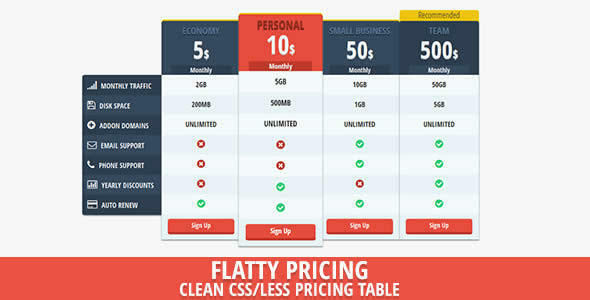 Awesome best css3 pricing tables elements of 2013 collection, which are uniquely designed to show off prices options for your items. 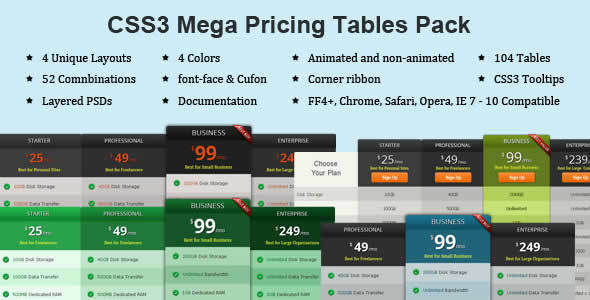 These variety of pricing tables is an easy and efficient way to include some nice options to your website using CSS3 features. 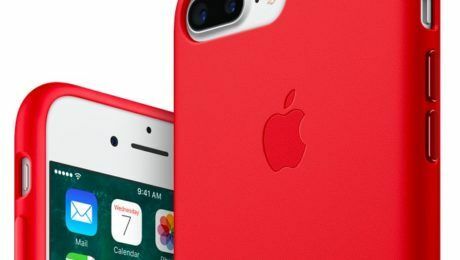 It is essential to keep these things easy and simple to grasp, but as well this business have to distinguish among options and prices of various services and products. 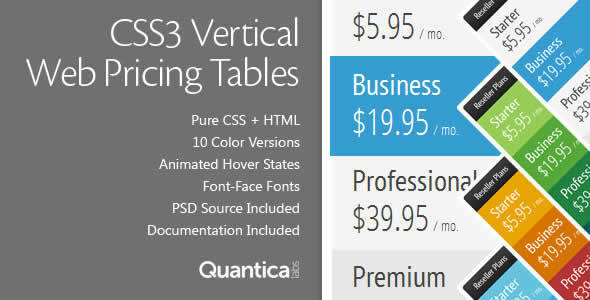 This post will provide a some great looking and impressive pricing and comparing tables to use inside your websites. 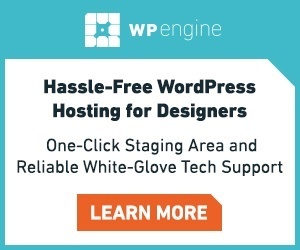 Hopefully this is best for developers as well as business people focusing on creating the ideal website for offering various options. 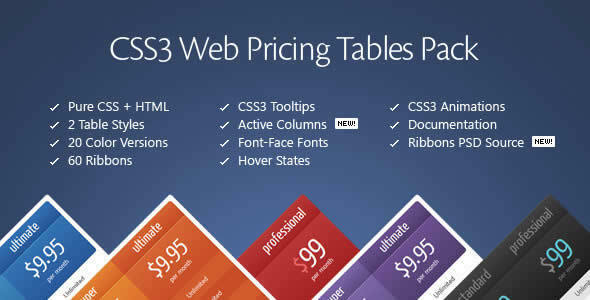 All of these css3 pricing tables elements includes a variety of personalized benefits that you may blend and customize quickly. 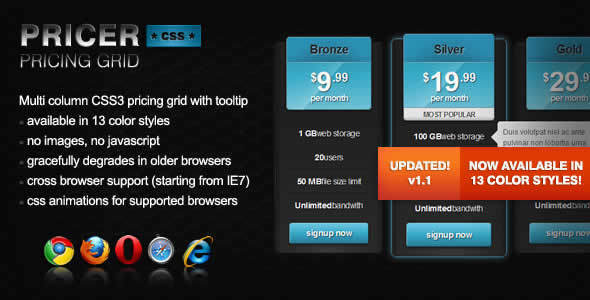 The CSS markup is stated and you will get additionally a help documnet to assist you begin working using these pricing tables. 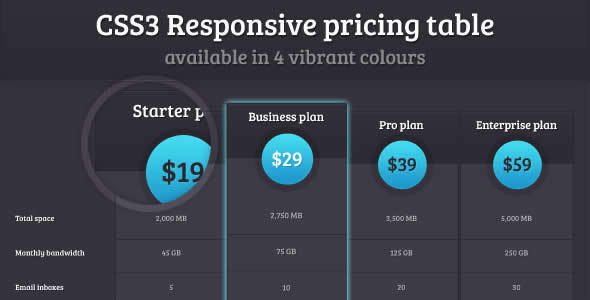 Simple, Clean and Bold Three Color Pricing Table HTML & CSS. 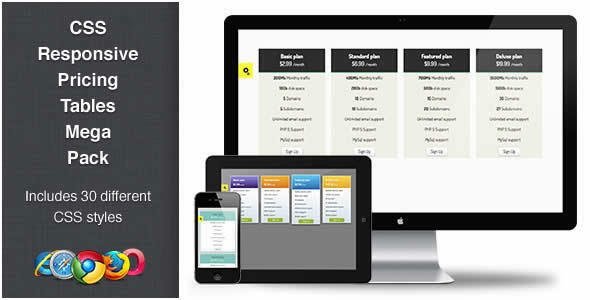 Its include simple feature section, order now button, and three color for each plan. 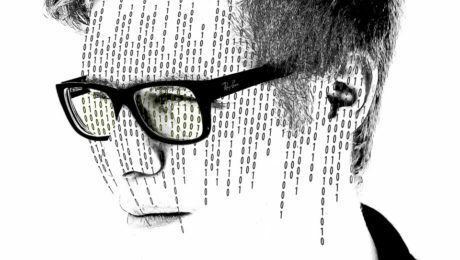 its well commented markup, W3C Validate markup and Easy to use. All major Browser Supported. 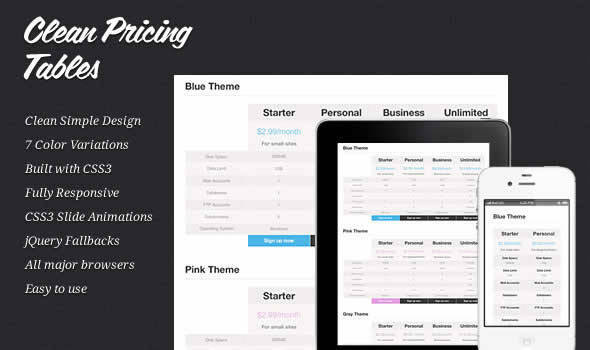 Set Of Responsive Pricing Tables. CSS3 Animations + Bonus CSS Polkadot Background. 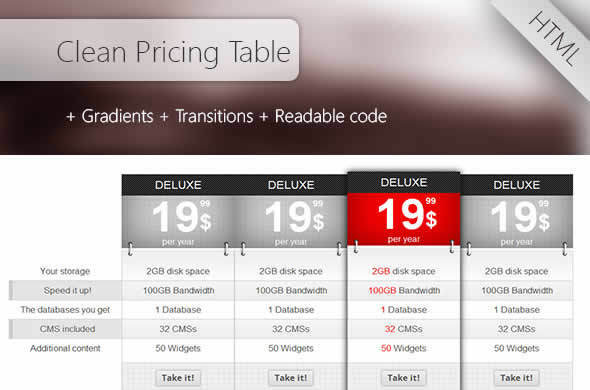 Rainbow Responsive Price Tables, a set of beautiful looking responsive price tables coming in a large 16 color variations. 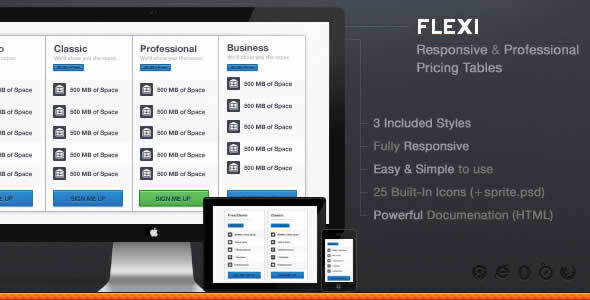 Flexi is a high profile, professional pricing table collection that is responsive, stunning, and extremely easy to use. Itâ€™s built with seamless flexibility and full-forced customization possibilities. 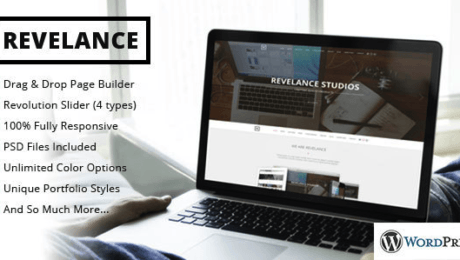 This item pack contains 104 ready to use Pricing Tables with 4 unique layouts and 4 colors. 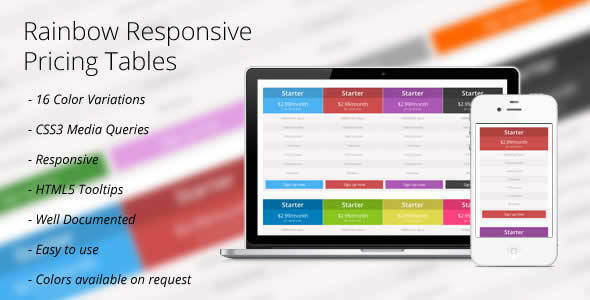 You are getting total 52 combinations either with CSS3 mouseover animation or without any animation. 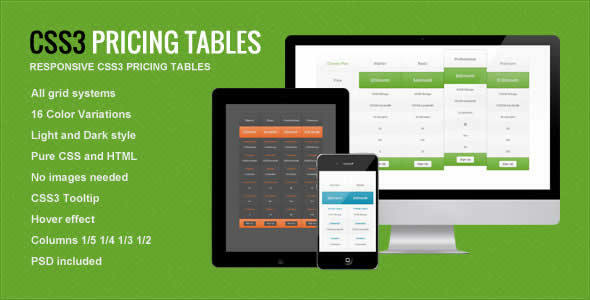 Multicolor is a set of table designs created to fit every website. 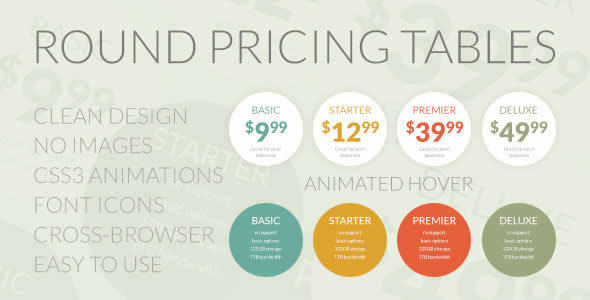 The package contains a number of differently styled pricing tables. Each of them comes in a set of predefined color schemes, but as it is created with Pure CSS you can easily customize it to fit your website color scheme. 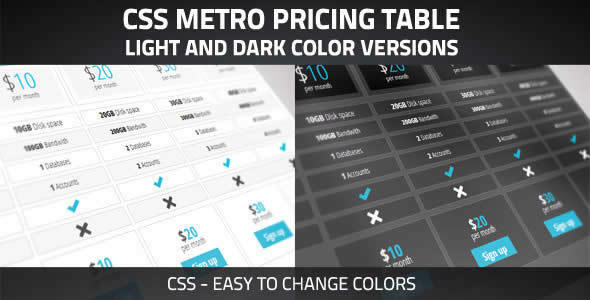 This is a clean and modern price table inspired by new Metro Windows Interface. 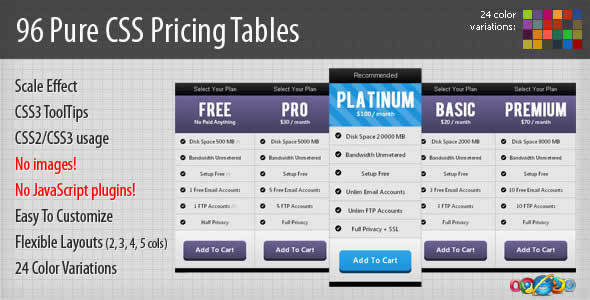 The Elitepack Pricing Tables have a pretty clean and minimalistic design with smooth shadows and hover effects. 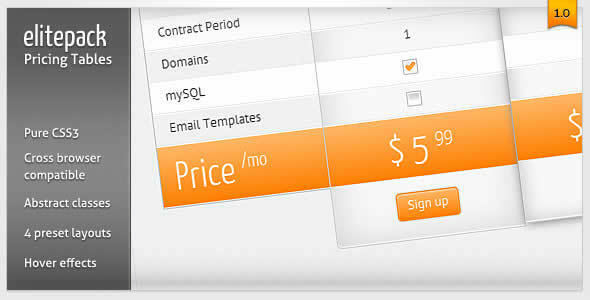 These pricing tables can be used in any business website template or any other web project you are working on. 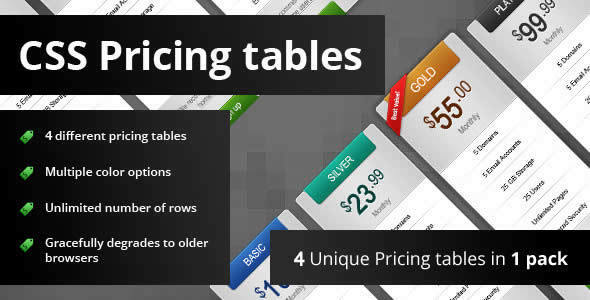 Elitepack Pricing tables come bundled with 4 variation designs. 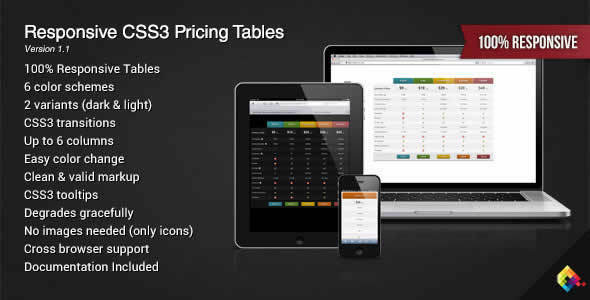 Pricey is a set of professionally designed pure CSS3 pricing tables that will give your product an outstanding sleek feel and look.